Happy mid summer to you all! I’ve missed you, creating new recipes, and writing on here. It’s been an interesting summer to say the least. I’ve found myself embarking on new adventures, cooking on farms with kids, working events for charity, and packing up our home. I suggested an already posted recipe for my monthly TV cooking segment on AM Northwest but my producer suggested otherwise :). It was a blessing in disguise. 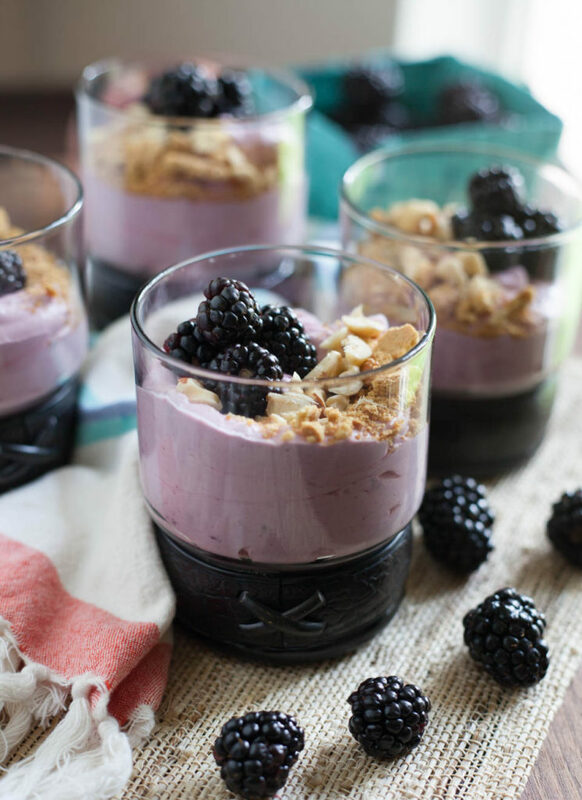 I found myself recipe developing in my head over the weekend, grocery shopping, and getting into the kitchen, camera in hand, notes in my book for this no bake Blackberry Peach Mousse, which was an absolute delight. I have been cooking a lot of super healthy meals at home. We haven’t eaten out much at all. I’ve loved it so much, especially with this seasons produce. It’s just a whole other thing to take notes, pictures, and write here. It was a much needed break and may continue until we get a bit more settled into our new home. It was an absolute joy to get into the kitchen, play, write, and take pictures for this lovely no bake dessert! It’s summery, fruity, fancy looking, but super easy to put together for any lovely brunch, bbq, or family gathering. 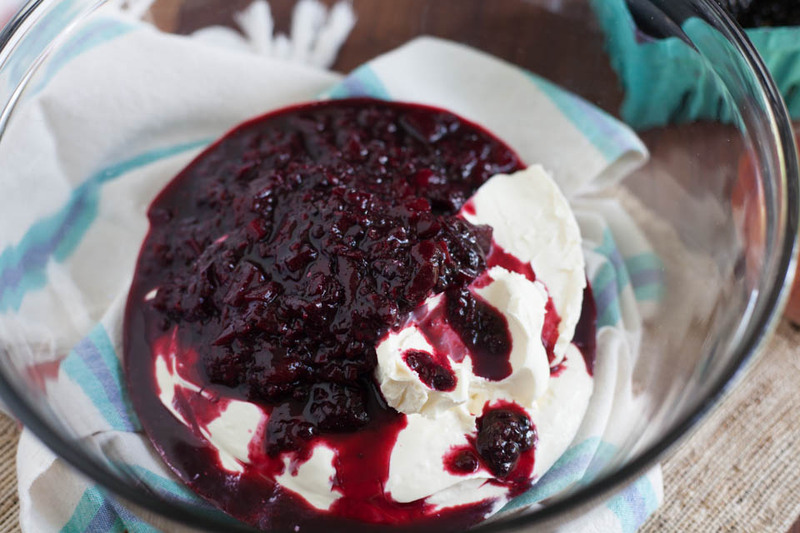 This is a rich dessert, so you can stretch smaller portions to get more servings, just add extra berries on top for a lighter topping! In a small saucepan add 1 cup blackberries, chopped peaches, maple syrup, salt, and fresh lemon juice. Mash together using a potato masher, bring to a simmer over medium heat, cook, stirring occasionally, until thick and jammy, about 15 minutes. Remove from the heat, pour into a bowl and place in fridge to cool quickly. 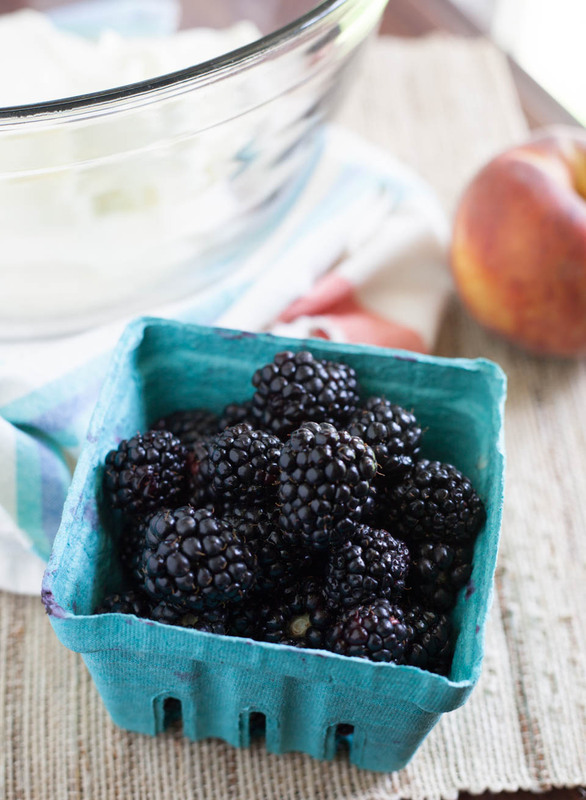 In a medium bowl, whip the heavy cream using a hand mixer to medium peaks, about 1 minute. Add sour cream, cream cheese/mascarpone, mix using the hand mixer until smooth. Add fruit puree to mascarpone mixture, whip using hand mixer until combined well. Fold in the whipped cream to the fruit cream using a spatula until blended. 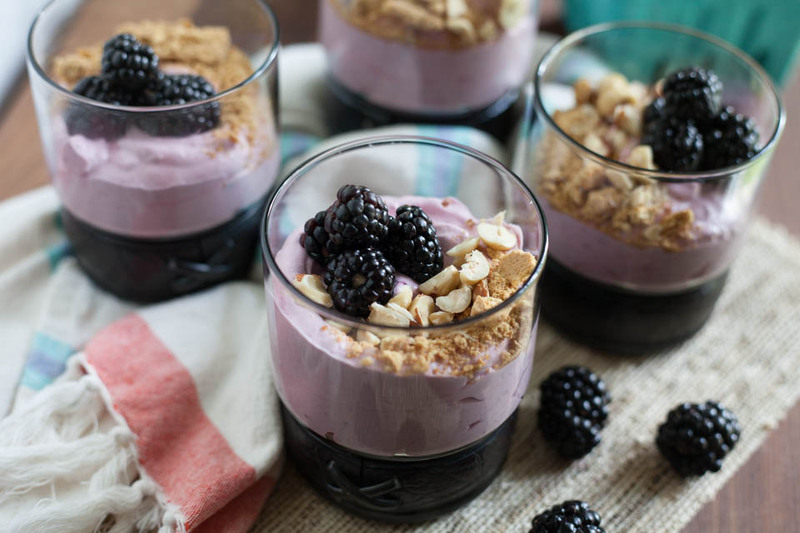 Spoon the mousse into glasses or jars. Place in fridge to chill for one hour. 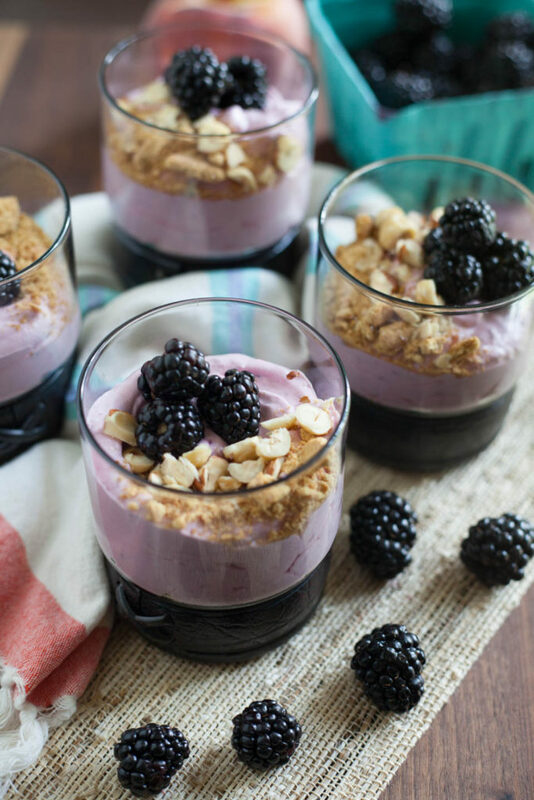 To serve, garnish with fruit, crushed graham crackers, and nuts. This can be made one day in advance, and store leftovers in fridge for up to 2 days.